Alchemist, teacher, and author Rubaphilos Salfluere is our guest in podcast episode 130. 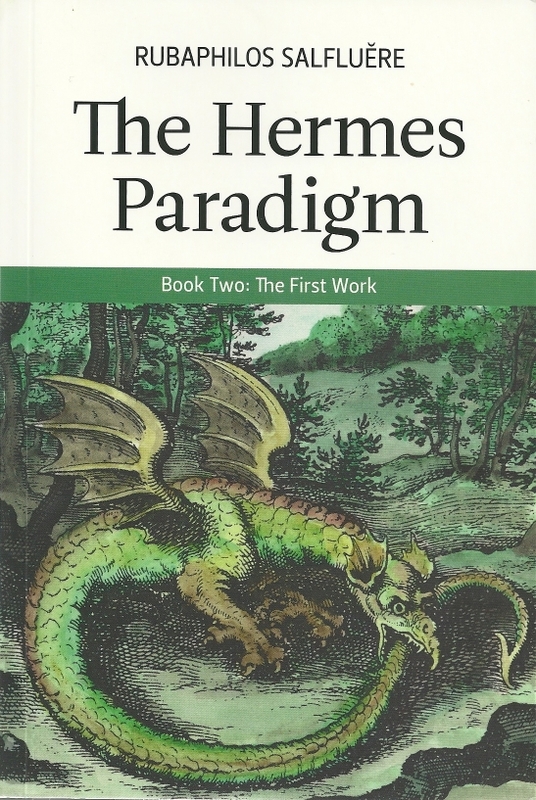 He recently authored another wonderful book entitled The Hermes Paradigm, Book Two: The First Work, published by Salamander and Sons. Rubaphilos previously appeared in podcast episode 88 to discuss his first book, The Hermes Paradigm, Book One: The First Principles. Rubaphilos begins the interview by explaining that the first practical work that would be taught to a student is plant alchemy, or plant spagyrics. 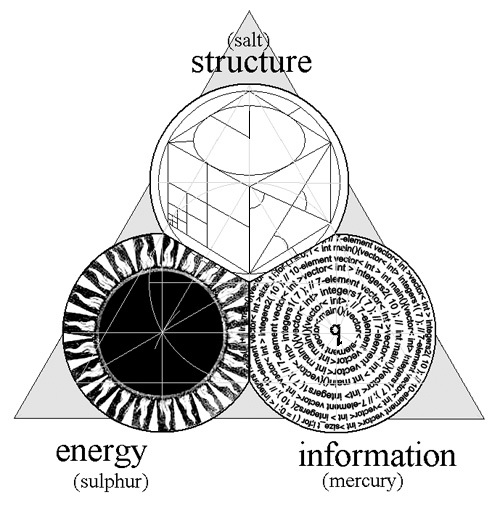 The reason this is the first work is because it is safer and a good way for students to learn about Hermetic alchemical philosophy, terminology, laboratory equipment, and the lengths of time required. He then expounds upon the reasons one requires a teacher in order to make serious progress in alchemy. One of these reasons is that a gnostic state of illumination into the operation of nature is required in order to properly understand and thereby convey a higher level of comprehension. He then explains a model of of human consciousness and the mechanics of its function using Qabalistic terminology. Rubaphilos discusses the concept of Anima Mundi and natural function of the development of life. He notes that this is not dissimilar to Rupert Sheldrake’s concept of morphogenesis. Next, we consider how the mystics and priests of the ancient world were able to train their minds in such a way as to understand nature to a degree that is difficult for modern people to grasp. The end result of this mental exploration was magick and alchemy. Rubaphilos spends some time more precisely defining the concepts of Spagyria, the First Matter, or Prima Materia, and the Quintessence. I highly recommend both of Rubaphilos’ The Hermes Paradigm books – The First Principles and The First Work. In my opinion, these relatively slim volumes are packed with wisdom and required reading for those interested in laboratory alchemy. While I’m still digesting these two, I’m already looking forward the the next books in the series. Kudos to Rubaphilos and Salamander and Sons! In the Occult of Personality Membership Section, Rubaphilos talks more about the Royal Art of Alchemy and reveals some of the most amazing details of alchemical rejuvenation that I’ve ever heard. This is a fascinating interview and you won’t want to miss it! Excellent interview. Rupaphilos offers a fresh take on the Great Art. His emphasis on understanding what’s going on with Nature, both inner and outer will help those on the path. I can’t wait to read the book. Thanks! You’re welcome … and thank you, Terrence! I appreciate you listening, supporting the podcast, and taking the time to comment. Thank you so much for all of this information. I have been catapulted so far in my study of alchemy because of the podcasts you have done with Rubaphilos. Thank you for bringing on one of the most knowledgeable and accessible people in the alchemical world. You’re most welcome, Viragoss. It was truly a privilege and honor to be able to speak with Rubaphilos again and record such an amazing interview. I feel the same as you, Rubaphilos’ work has advanced my own understanding of the western alchemical tradition more than I imagined possible. I’ve been a student of Hermeticism and Alchemy for many years and have to agree that Rubaphilos is the real thing, of a real tradition, and is certainly making a real contribution to the world’s understanding in these areas. Now if only Salamander and Sons would get those books in the mail to me! Ahh, we do get to learn lots of PATIENCE on this path, don’t we?